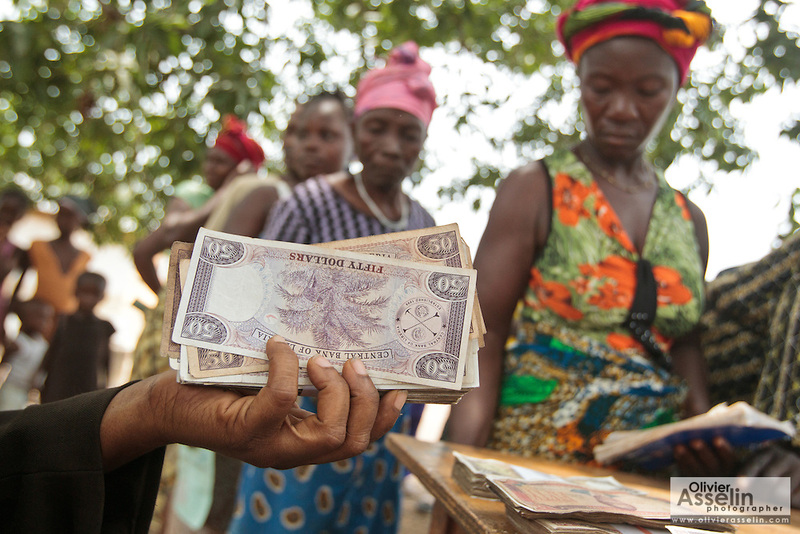 A staff from a local bank holds a handfull of money during a UNICEF-sponsored social cash transfer programme distribution in the village of Julijuah, Bomi county, Liberia on Tuesday April 3, 2012. Beneficiary households receive monthly transfers that vary according to the size of the household, with additional sums provided for each child enrolled in school. Families are selected for participation in the programme based on two key criteria: they must be both extremely poor and labour-constrained.